Since the Roman times, the land of the Marchesato, in the southern Italian region of Calabria, has been known for their high quality wheat. La Pasta Del Marchesato continues to cultivate their wheat in the by hand in the traditional way, straining the wheat with bronze, slowly dehydrating the wheat at a low temperature. 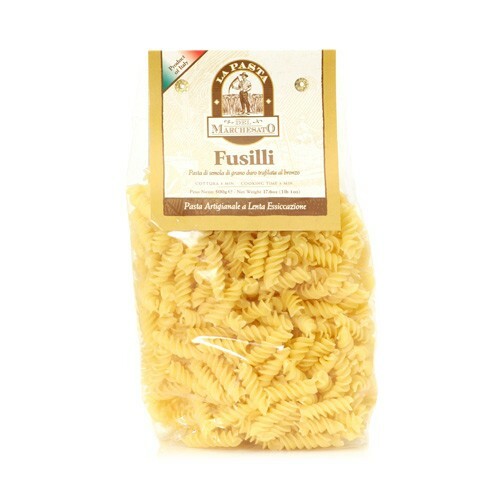 The fusilli cut is a short cut with a spiraled corkscrew shape.